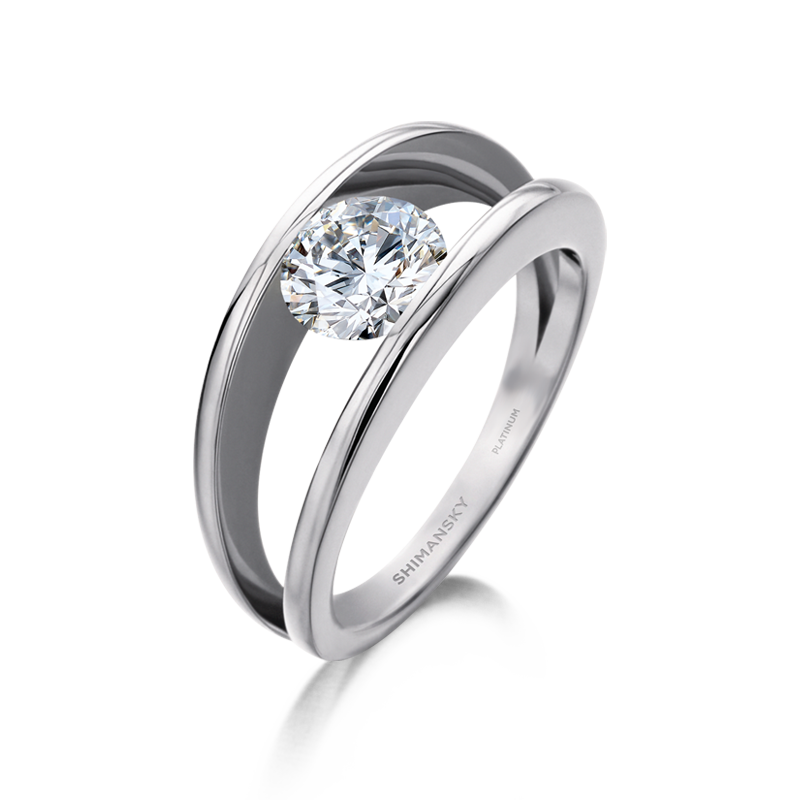 The Millennium diamond ring shown has been expertly set with a 1.01ct round brilliant cut diamond and crafted in pure platinum. The iconic Millennium design is a Shimansky original and can be especially created based on your specifications with a hand-selected Shimansky diamond. 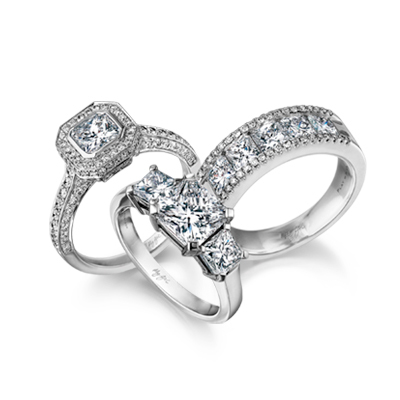 Timeless and classic, the Shimansky Millennium Diamond Ring is a South African jewellery icon. 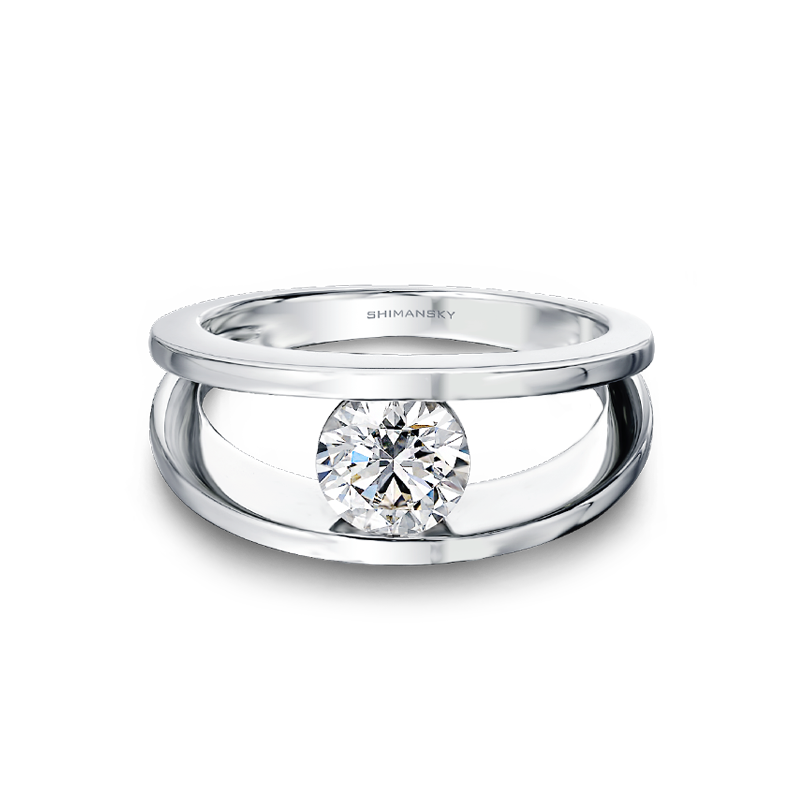 The contemporary design consists of two bands that hold a beautiful solitaire diamond in place. Exposed from all angles, the diamond displays the ultimate brilliance. A unique design unlike any other, it is the simplicity of the design that makes it so striking. The mark of everlasting love, the two bands represent the coming together of two lives through marriage, held together by a diamond, the strongest material on Earth, and a symbol of forever. Exclusive to Shimansky, the Millennium Ring is handcrafted to perfection in a precious metal of your choice.